Amazon.com description: Product Description: An illustrated collection of 15 macabre short stories. 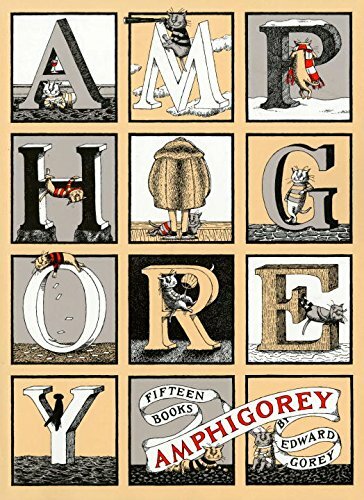 In this gorgeously detailed volume, American artist and author Edward Gorey accents amphigory (nonsense verse or composition) with his signature cross-hatched pen-and-ink drawings. A mix of poetry and prose, light-hearted and decidedly more morbid storytelling, the book is sure to satisfy both fans of art and lovers of short stories alike.